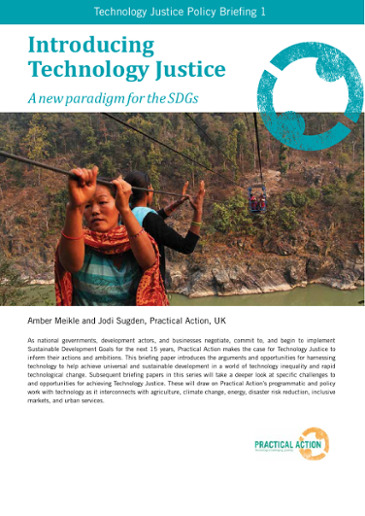 The concept of Technology Justice envisages a world where everyone has access to existing technologies that are essential to life; and the focus of efforts to innovate and develop new technologies is firmly centred on solving the great challenges the world faces today: ending poverty and providing a sustainable future for everyone on our planet. But, we know that we are far from this ideal world today. 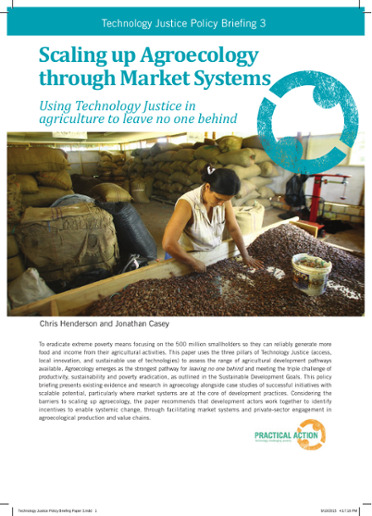 Practical Action’s Technology Justice Policy Briefing Series, published by Practical Action Publishing, presents new evidence and learning from our programmatic and policy work to inform and challenge current development and technology debates. 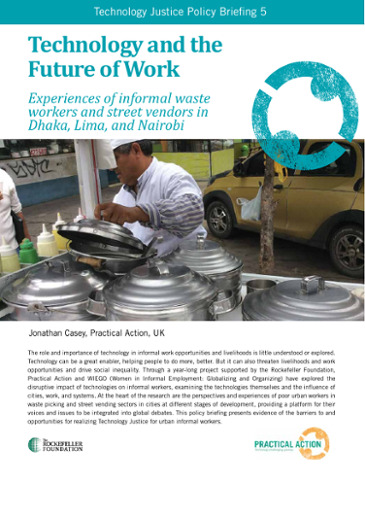 The series explores the challenges and opportunities for achieving Technology Justice in key sectors of our work. 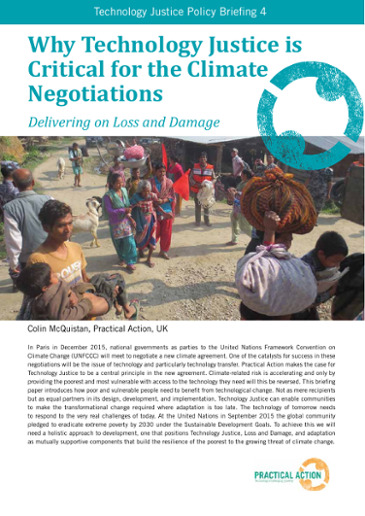 We also publish a Poor People's Energy Policy Briefing Series, focusing on innovative approaches to achieving equitable access to energy; and a Resilience in Practice Briefing Series, which presents evidence for practitioners on supporting communities to move from vulnerability to resilience. 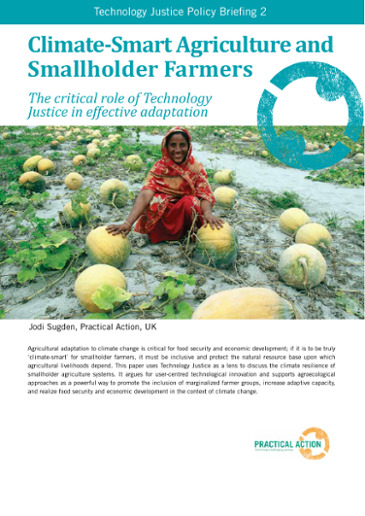 Keep up to date with Technology Justice from Practical Action, including briefing papers, events, and campaigns.